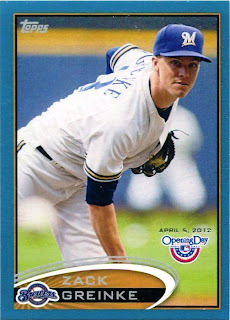 I picked up about 65 cards for $6 at a card show trip - the random 2011 Playoff Contenders cards intrigued me the most, even though I'll still have to look up most of the players pictured on the cards, to see if they are legitimate MLB prospects or fillers used in a non-MLB licensed baseball product. 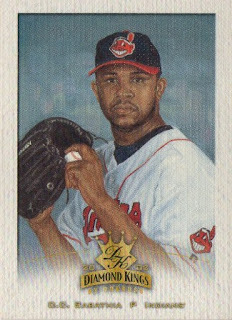 I tried to fill out my pile with a few cards of star players - I have my share of cards of guys who played five, 10, 15 and 20 years ago, but it's hard not to be nostaglic and impulsively flip through cards I may not have had an opportunity to pick up during my collecting adolescence. 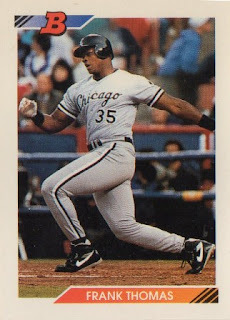 1992 Bowman Frank Thomas #114 - the action shot of Thomas swinging away at a familiar looking [if somewhat obscured] Anaheim Stadium caught my eye. 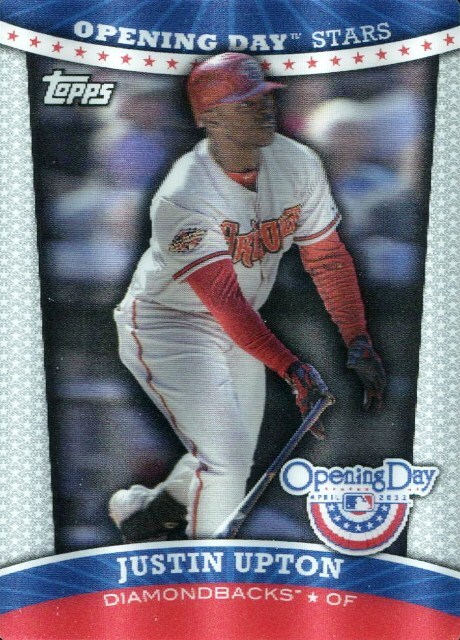 2005 Bowman Draft AFLAC Cameron Maybin AFL 11 - I lost a similar card to a TTM request years ago that is still MIA. 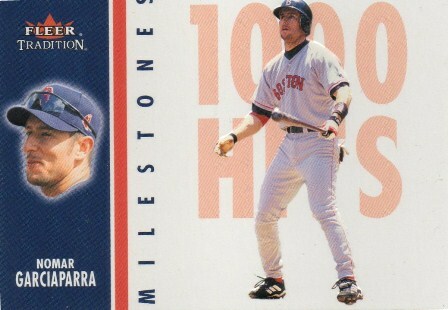 I found a 1998 Fleer Tradition [#391] card of the former All-Star catcher in a dime box along with other 'goodies' that I'll highlight at some point soon - maybe the interesting but ultimately trivial fact about this card is Piazza is shown as a Florida Marlin, which he ended up playing five games with before getting traded to the New York Mets back in 1998. I came of age as a baseball during the 1990's and Piazza was one of big name superstar players back in that Era - there is no doubt that he is a first ballot Hall of Famer for what he has done as power hitting catcher and someone who became the face of the New York Mets post 9/11. 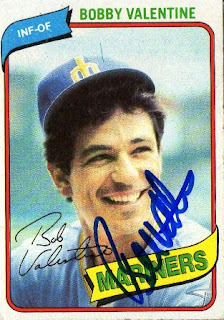 However, there has been PED innuendos tacked onto his career and it might derail his Hall of Fame chances in upcoming years - still, if there was any blemish to his MLB at any point, it might have been this wrinkle, where he was called out by a veteran Brett Butler for not being a true leader and caring more about his individual stats. My goals usually get derailed because it's a made up list of random things that sounds good at the beginning of the year - but ends up being a tedious to do list that doesn't hold up, becoming esoteric, redundant and maybe impractical. This post is basically a review of the one I had at the beginning of this year - to see whether or not I was satisfied with what I did. 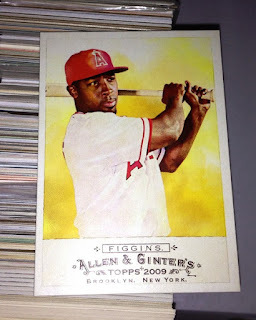 I realized I'd misnumbered my first list and skipped a goal - I added #5 about graded cards that was on the original draft I'd written up for myself. 1.) Doing something with my favorite players collection - basically count up and listing all the cards I have for particular players in a database and for this year picking up five to 15 'interesting' cards for my Top 10 favorites as well as 10 other players I'm interested in on a 'rotating' basis. 2.) Personal collection cards - I'd like to be able to count out a Top 30 list, tally up another 25-30 'alternative' PC cards and create a binder of PC cards for more sentimental purposes. 3.) 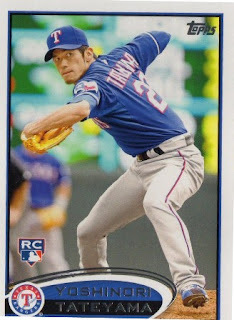 Regional focus - establishing a Top 30 personal collection of cards, building an 'A-Z' singles collection [interesting cards of various players] and maintaining an Angels 'shoebox collection' under team boxes [featuring more rank-and-file cards / inserts]. 4.) A-Z singles stored in top loaders - I want to store various singles in top loaders in a box, list in a database and file away by player in 'ABC' order and maybe by card type i.e. basic rookie cards, parallels and certified autograph cards. 5.) Organize my graded cards - it's harder to weed out any cards that are 'dated,' when the cards make up a chunk of my graded colllection...it is what it is...make note of any PC type cards but don't want to physically separate any slabs. 6.) 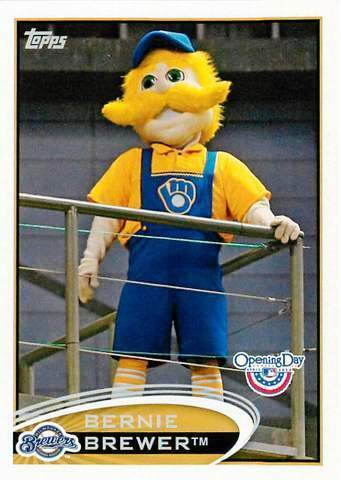 Collecting topics cards - add about 500 different ones with 250 either old-school [pre-1980] and/or vintage [pre-1973] cards. 7.) 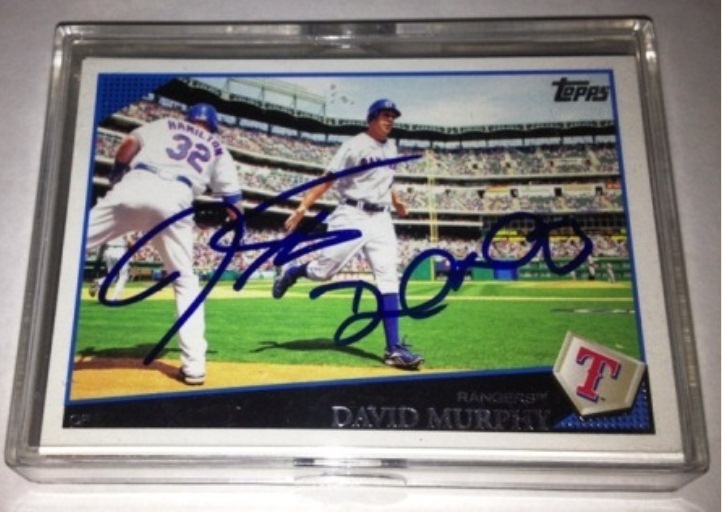 Pick up 15-20 first-year autograph cards and 10-15 first-year Angel autograph cards. 8.) Pick up a 'PC' rookie card or two - something like a PSA graded 1980 Topps Rickey Henderson RC or a PSA graded 1983 Topps Tony Gwynn RC and so forth. 9.) Bust about three to five 'full' boxes every three months - I want to bust boxes on a somewhat regular basis, but the cards I will need are probably base cards, more common parallels. I'll try to see if I can bust mostly current-year product with a mix of some 'oddball' stuff that maybe fun if now relatively worthless. 10.) 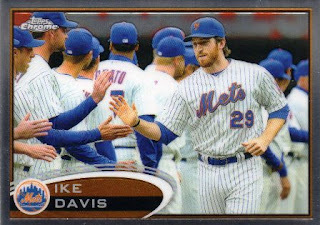 Finish my Topps team runs [except for any expansion teams that may apply, a 1978-current year card for each of the 30 MLB teams] and my Topps sampler runs [a card from 1978-current year] - I'd like to get these out of the way sooner than never as sort of 'side projects' I work on when I stumble upon appropriate year Topps cards. 11.) Pick up 10-15 blasters and/or various retail offerings and maybe 20-25 assorted retail / hobby packs - I don't really pull anything of significance but the hunger to bust something never ceases. 12.) Do 10-15 impulsive card related things - point being is to have some fun. 1.) Build up a pack surplus to bust at different times of the year - MY PLANNED PACK ATTACKS NEVER QUITE HAPPENED BECAUSE WHAT IS OUT THERE THAT IS UNIQUE - updated 12/30/12. 2.) Bust my COMC cherry - DONE though I have one more card left to be shipped and I never bothered to pick up anymore cards - updated 12/30/12. 3.) 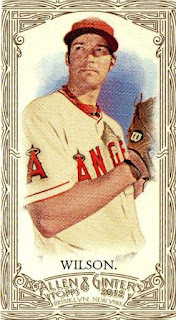 Add one or two graded Angels rookie cards - franchise legends, doesn't have to be a Hall of Famer, but more of the vintage pre 1973 variety - NOTHING IS HAPPENING WITH THIS AT THE MOMENT - updated 12/30/12. 4.) 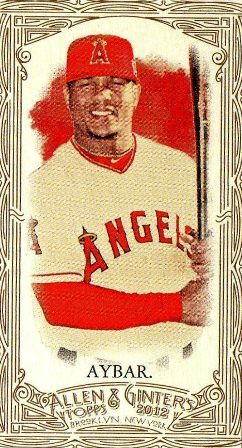 Add three vintage Angels Topps graded cards [1961-1980] - a sampler run of sorts - NOTHING IS HAPPENING WITH THIS AT THE MOMENT - updated 12/30/12. 5.) 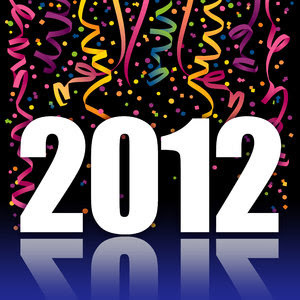 Bust an assorted number of random packs from the 1980s from BB Card Exchange - NOTHING IS HAPPENING WITH THIS AT THE MOMENT - updated 12/30/12. 6.) 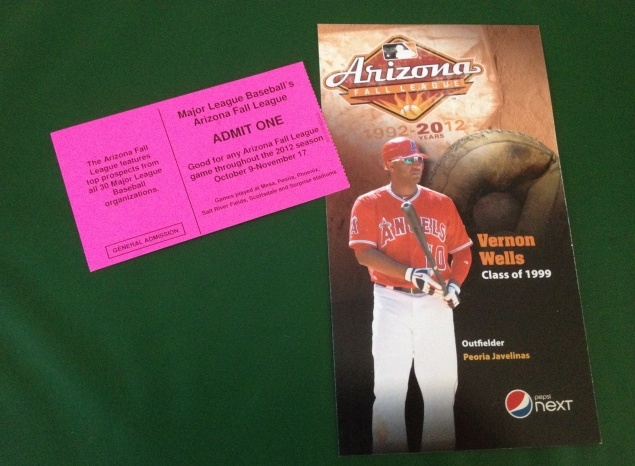 Pick up two or three minor league sets - I ACTUALLY PICKED UP SEVEN OR EIGHT SETS FOR A ARIZONA FALL LEAGUE TRIP - updated 12/30/12. 7.) 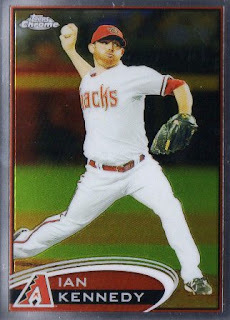 Bust some 'oddball,' 'forgotten' wax such as 1986 Donruss box, 1986 Fleer, 1989 Upper Deck - MAYBE TIED TO #1 and #5, I DON'T FEEL THE SAME WAY UNLESS I KNEW THERE WERE BETTER CARDS TO UNEARTH OTHER THAN WHAT IS OUT THERE ALREADY - updated 12/30/12. Thinking about the baseball cards I collect, my interest lingers but my lair is in ruins, my collection is in decay - life isn't linear, years go by, stuff happens or doesn't happen and and it's just a matter of when things get blown up, when I thought I had a system in place for five or six years. Maybe cardboard is useless anyway but I feel like stuff I've coveted at various points are literally collecting dust, loose in places where I don't want to deal with them - have I gone too far in literally not doing anything with cards I once collected? 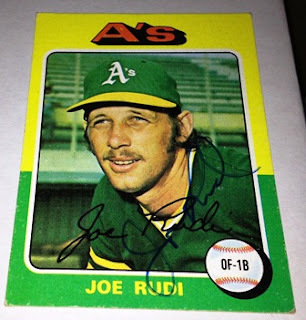 While the part of my collecting life as in-person / through the mail autograph collector has been pretty much spelled out - I'm kind of 'lost' at times as far as other aspects of collecting baseball cards for themselves. I feel like I've got to reboot my collection in a radical way because I've sort of lost the way I organize my cards - the way I physically put them together isn't quite how I want things to be and it bothers me. I keep in mind lists list of all the countless, various places [representing various interests] where I funnel cards into - but that is mostly sorting cards to be autographed and separating them in a nuts-and-bolts way as opposed to having a definite way to collect certain cards [that are not really meant to be scrap cards to be autographed or shoved away as part of my collecting topics collections]. I don't know where cards I've blogged about end up - I hoard and look for stuff that ends up being clutter. 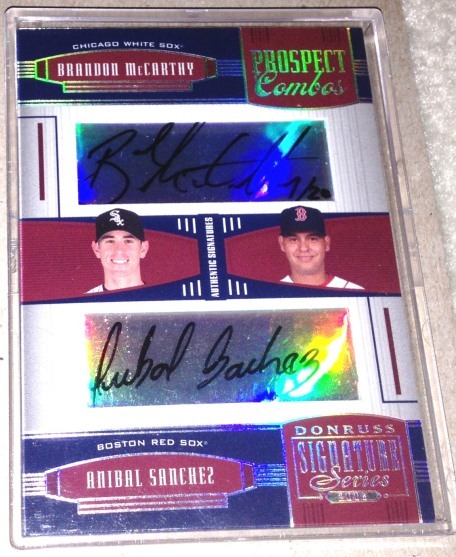 What about the personal collection cards - is there a core set of cards I can showcase or is it all just jumbled up? What about the various cards in my 'A-Z' singles collection that are now scattered all over - various certified autograph cards of prospects who are supposed to be great but end up being busts? I cling to the idea I've got to play with all the cards I've hoarded instead of looking for the next cardboard fix - this is my cardboard collecting life and I make my own fun and try not to worry about anything else, everyone else is doing. However, as much as I wouldn't care to admit it, I'm more hoarder than collector and its come to a head - I have gotten older and as much as I want to collect, maybe it's time I stop pretending to be a mad scientist. I didn't know much about this guy - I might have pulled one or two 2010 Bowman Draft cards picturing the one-time minor leaguer and put them away in my 'two-sports star' collection, since he apparently played college football too. It's not too hard to label him a baseball bust since he isn't playing professional baseball anymore - but apparently he has enjoyed a breakout season as a rookie NFL quarterback [not named Luck or RGIII] and his one-time baseball playing career is in the rearview mirror. Drafted by the Seattle Seahawks, he ended up outplaying the team's key free agent signing at quarterback - he threw up a controversial Hail Mary 'non-touchdown, TD pass' that sealed the replacement officials' fate and then has managed to throw 25 touchdowns and lead his team to a playoff berth in 2012. One of the last things I'd expect to find while digging around my house was an issue of Baseball America with Josh Hamilton on the cover from 1999 - I skimmed through the inside of the magazine and the main story is about the three prospective players [Hamilton, Josh Beckett or Eric Munson] the Tampa Bay [Devil] Rays were going to take with the No. 1 pick [Hamilton would be their choice]. 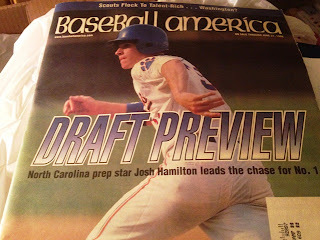 The magazine was probably a part of a two or three issue 'trial subscription' I signed up for back in the day - as an autograph collector who likes to collect my share of prospect autographs, I wouldn't pick up a BA issue since it's printed on newsprint and I feel like it's a less durable item to be autographed. The magazine is oversized, so it's a hassle to carry around in a bag - the magazine feels flimsy for autographing and it seems like it's going to get worn down faster compared to an 8x10 photo or a magazine. With Hamilton being an Angel - I'll probably make an exception and see if I could get it signed some time in 2013. #ODS-13 Justin Upton - Opening Day Stars insert; I like the 3D effect, though it's something Topps has revived from the dead and played with in other insert sets. 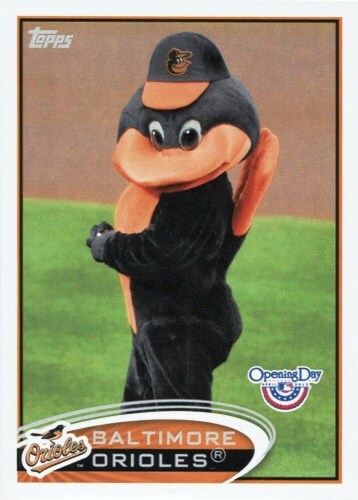 #NNO Carlos Lee - kind of weird, but after Googling info about the card, I find it's a common misprint. 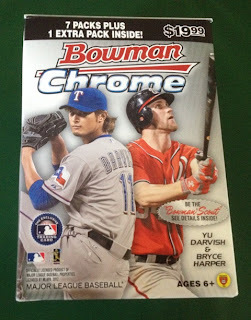 This was one of two Christmas gifts from my brother - the other was a 2012 Topps Opening Day blaster box. 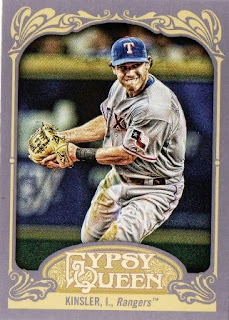 #GGC-19 Derek Jeter - Golden Giveaway code card; unlocked a random coin and another free code, which unlocked another useless coin. I think a couple of guys my friend knows makes cameos around the 0:36 mark - I'm sure they are going to appreciate watching this since they like to follow the progress of their fellow Japanese jumping from the Japanese pro baseball league to play Major League Baseball. 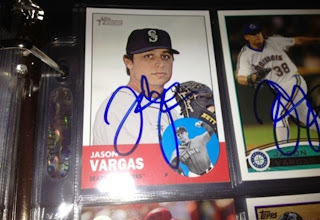 I got new Angel acquisition Jason Vargas to sign two or three cards at the end of the 2012 season when the Seattle Mariners were in Anaheim - while I would have liked to see what Kendrys Morales might have done in his second full season after coming back from his horrific injury in 2010, I guess there was some flexibility to make a move for a No. 4 or No. 5 starter like Vargas. Vargas isn't great, doesn't throw particularly hard, but hopefully he can throw around 200 innings and in the process - nail down enough quality starts for the Angels without getting banged around [served up 35 home runs this past year] too much. For the Angels, Mark Trumbo probably starts the 2013 season as primary designated hitter - with Albert Pujols, Josh Hamilton and maybe Vernon Wells on the short list of Angels players who can also DH if needed. The sneaky signing of Josh Hamilton by the Angels might represent the feast or famine acquisition that defines Jerry DiPoto's legacy as a general manager in Anaheim - more than signing Albert Pujols or C.J. Wilson last off-season. I have some reservations about Hamilton's focus during different points in a Major League Baseball season, but it's hard to argue that when he's on his best behavior - he is a superstar talent who adds meat and complements Albert Pujols in the middle of the Angels' lineup. 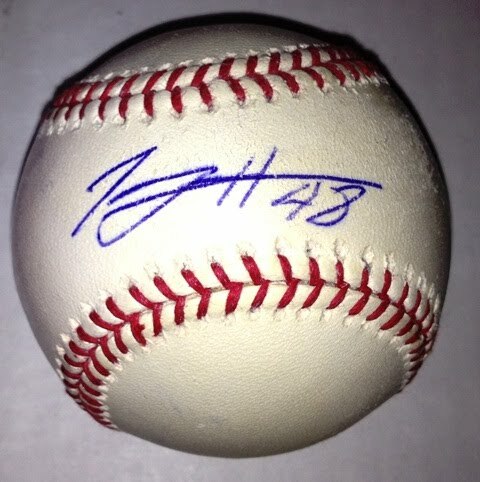 Hopefully it just doesn't become one of those situations where Hamilton forgets to play baseball and becomes an enigma and/or an outright free agent bust - since the Angels are going to be paying the man $25 million through the next five seasons to be a superstar. I found this card in a quarter box and decided to grab in just in case the autograph is real - not worth much, but it's nice to find an old-school autograph card of a former Angels player. With the Angels apparent addition of Joe Blanton - the Angels look to have some arms to build around after losing Dan Haren, Ervin Santana and most likely, Zack Greinke. 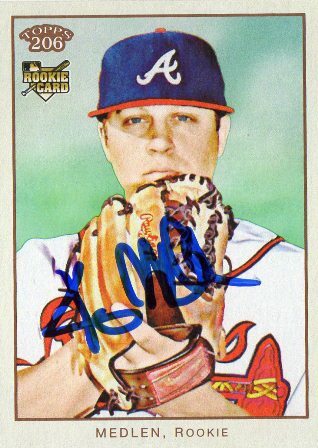 Blanton is a decent pitcher you can plug into a starting rotation and expect OK [if decidedly underwhelming] results - a good season for the burly righty would be pitching close to 200 innings while recording double digit wins. A bargain basement signing - the money Blanton is getting to pitch the next two seasons for the Angels doesn't even pay for what current free-agent Greinke is likely to be paid per season. 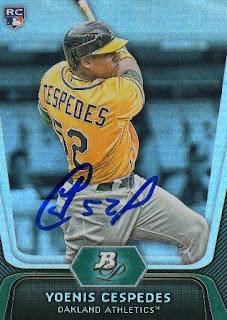 I don't remember where I got this 2004 Bowman Draft card signed in-person - it might have been during the 2005 season or 2006 spring training, when I remember getting my picture with him at A's camp. 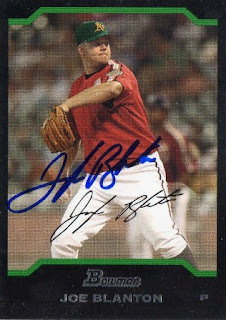 The Angels signing of reliever Sean Burnett adds another good lefty to complement Scott Downs in their bullpen - I assume Burnett is going to be a flexible piece, with the ability to come into any late inning situations and maybe even close out a game if needed. 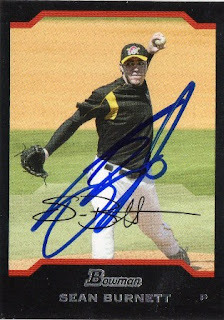 I probably got this 2004 Bowman Draft card signed in-person four or five years ago - when Burnett was still with the Pittsburgh Pirates and I couldn't tell the difference between him and then teammate Tom Gorzelanny. I bought this card for $10 back at the 2006 National in Anaheim thinking it was going to valuable - since Anibal Sanchez threw a no-hitter that year with the Florida Marlins and McCarthy was a young, unproven pitcher with some potential as a then 22 year old with the Chicago White Sox. 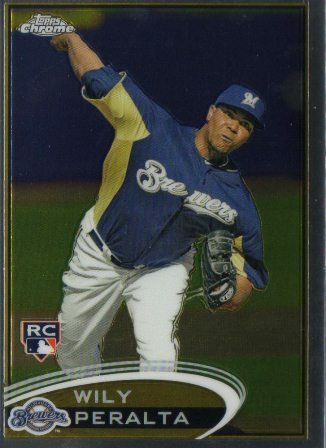 Today, the card is maybe worth half of what I paid - though Sanchez has been relatively healthy [though not quite a star] and while McCarthy bounced around a little bit, he's enjoyed some success in Oakland the past two seasons. Both are free agents this off-season with Sanchez wanting to paid like a No. 1 or No. 2 starter - McCarthy seems tabbed to be a good 'under the radar' guy to grab since he is looking to bounce back after a getting hit in the head with a line drive off Angels Erick Aybar's bat in 2012. I put together a roster of players I think have a good chance of making Team USA's 2013 World Baseball Classic team - while it may not be a potential dream team [no Bryce Harper, no Mike Trout, no David Price, no Stephen Strasburg or Buster Posey for example], I'm going for realistic, competent roster that can still can compete with the other WBC teams. Jamie Moyer - I assume he still wants to pitch, what else is he going to be doing at 50? Relievers (9) - besides Perez, Wilhelmsen and Bundy, maybe guys off the scrap heap and/or guys who have bounced around in recent years. Dylan Bundy - my 'luxury item' as far as the pitching staff, he is the top pitching prospect in professional baseball. Lineup (8) - I tried to build a balanced lineup with guys that can run, make some contact and hit for power. 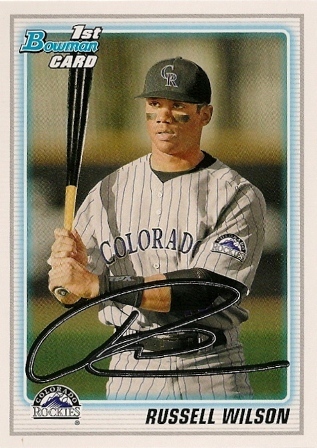 CF - Will Venable - not a star but can do a little bit of everything. 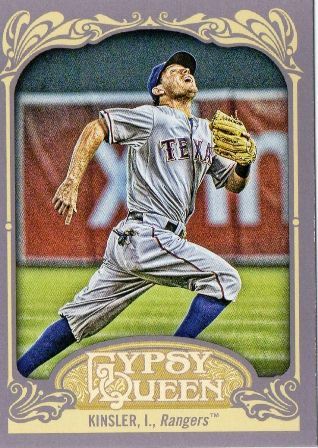 SS - Danny Espinosa - has pop for a middle infielder. 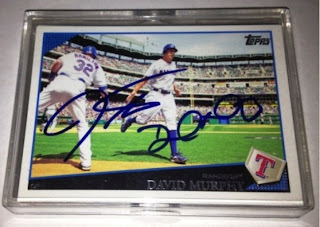 LF - David Murphy - an underrated talent from the Texas Rangers. 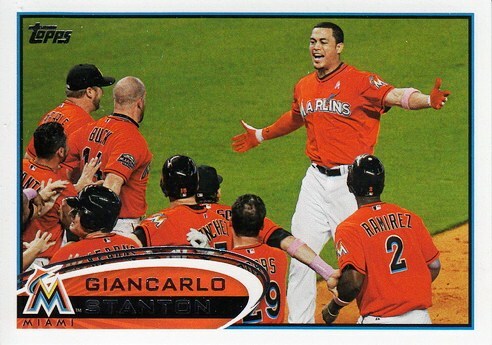 RF - Giancarlo Stanton - my 'luxury item' as far as position players go. 1B - Billy Butler - for the WBC, he'll be my starter at first base. C - A.J. 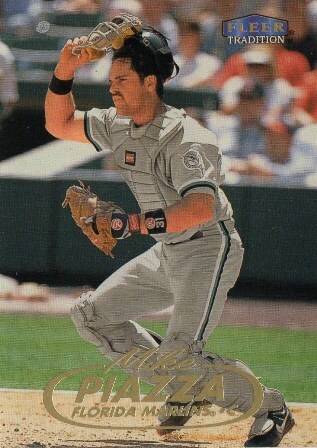 Pierzynski - adds some swagger and general douchiness. 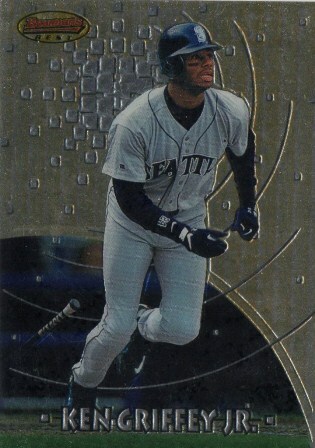 3B - Chris Nelson - while not a star, he became a decent regular in 2012. 2B - Kyle Seager - an emerging everyday player for the Seattle Mariners. Bench (7) - some old guys for veteran presence and leadership off the pine. I was curious as to who the Angels would pick up after their starting rotation was depleted - it looks like the Halos got a solid starting pitcher from the Atlanta Braves in Tommy Hanson and all the team had to give up was reliever Jordan Walden. I think there were rumblings and concerns about Hanson's delivery and health over the last two years, so the move isn't without its risks - however what's not to like about a big, strong kid who seems like a solid No. 3 behind Jered Weaver and C.J. Wilson, but has the potential to be quite a bit better at only 26. 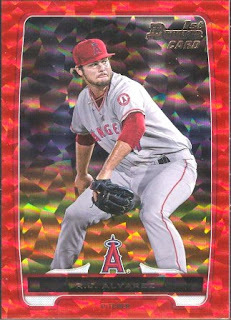 Walden was an All-Star selection back in 2011 but has been a disappointment since - even with closer stuff, he pitched himself out of the Angels' short term plans and lacked a defined role in 2012. With a different team like the Braves - maybe Walden gets a new opportunity to become a star reliever. 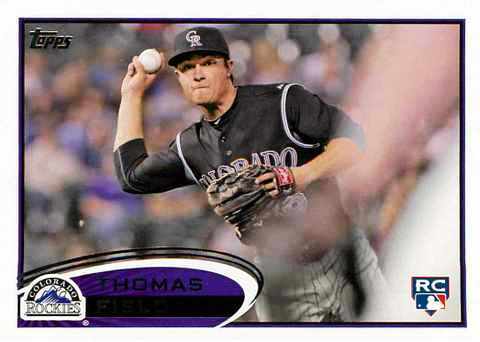 After trading for Hanson, the Angels should be looking to pick up another starting pitcher - do the Angels have any more prospects or young players like Taylor Lindsey and/or Peter Bourjos, Kole Calhoun or Luis Jimenez floating around? I'd like the Angels to go after another Southern California guy in Florida Marlins pitcher Ricky Nolasco - who suddenly doesn't seem like a fit for the fire sale Marlins, looking to reload with cheap, young players. A.J. Burnett of the Pittsburgh Pirates could be an option if the Pirates get back enough MLB players - to continue their make-believe game of trying to contend. 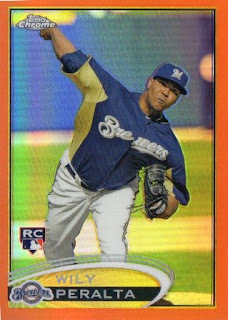 As far as free agents, Edwin Jackson seems like he is basically Ervin Santana and his contract demands might not be reasonable - my off the wall idea maybe taking a chance at lefthander Jonathan Sanchez. Sanchez maybe too inconsistent and beyond repair - but has had his moments as a Major League starting pitcher to warrant a spring training invite. 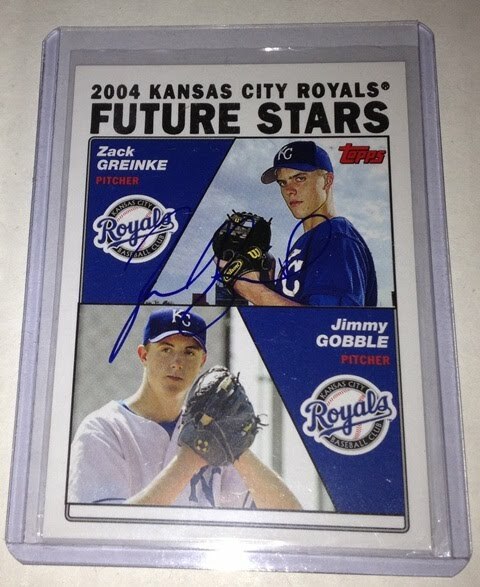 I probably got this card signed through the mail years ago and I wish the other guy was in professional baseball somewhere because I'd still like to complete it - the card is going into my all-time Angels autograph box to represent Greinke's time with the Angels in 2012. Obviously Greinke is the most prized free agent this off-season and I'd love for the Angels to have the means to plug him back into a depleted starting rotation for 2013 - who really knows [I'm not betting on it, btw] if the Angels are going to re-sign Greinke to a long term deal for $120 million or more. If it happens and Greinke is back with the Halos for the next five-seven years - then the team is going to have to tear up the long term deal ace Jered Weaver signed and make sure the face of the Halos' starting rotation is paid comparably. 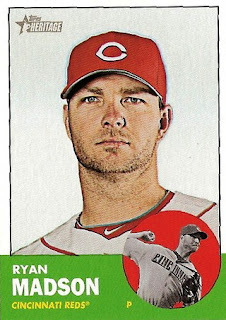 I'm not too impressed with the Angels' signing of former Philadephia Phillies closer Ryan Madson - but it is a gamble probably pays off for the Angels if Madson is able to come back [whenever that may be next season] and be a guy who saves 30-40 games. The Angels look to be one of the favorites to get Kyuji Fujikawa and hopefully the Angels can get a deal done - whether it's to defer to Madson in the ninth inning or actually close games out himself, Fujikawa adds another live arm into the Angels' bullpen for 2013. 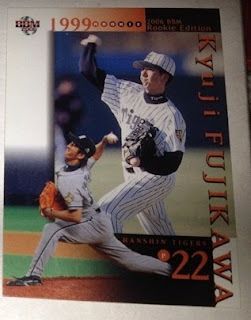 If not Fujikawa, the Angels need to patch up the pen and find another reliever like Jose Veras - a hard thrower who may not be young and may not always be in control, but can still be useful. It's a bullet the Angels dodged when Chone Figgins signed a four-year, $36 million dollar contract with the Seattle Mariners four years ago - he was supposed to be part of a contender in Seattle but those dreams never materialized and Figgins turned into a bad nightmare for Mariners fans. He was finally cut from the Mariners and while he pockets another $8 million to play for someone else [or stay at home] during the MLB 2013 season - maybe Figgins can salvage the latter part of his playing career, by being a bit player for a perennial contender [St. Louis Cardinals? ], filling in at second or third base. 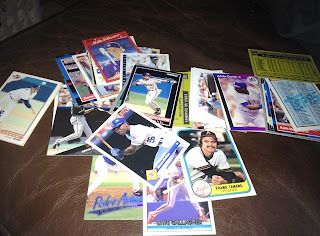 I was looking for a cardboard fix, so when I realized I worked near a Dollar Tree discount store - I stopped by to pick up a couple of 'Ultimate Super Jumbo Pack - Vintage Series' repacks for a dollar each; I'd read random blog posts about these from random card blogs and thought I'd scrape down at the bottom of the barrel myself. 1992 Topps Bazooka Quadracard #22 of 22 - featuring John Antonelli, Bob Friend, Dixie Walker and Ted Williams; I'd never seen these cards before [a 22-card boxed set, featuring four 1953 Topps Archives card images on each card] and they were remotely interesting. 1992 Topps Bazooka Quadracard #22 of 22 - featuring John Antonelli, Bob Friend, Dixie Walker and Ted Williams; a whole set is usually available for $2-$5 on eBay. 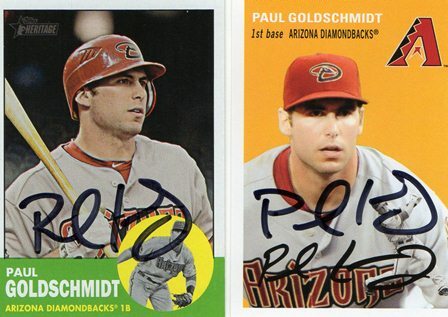 Paul Goldschmidt - the Arizona Diamondbacks slugger signed two cards in black Sharpie; I don't do as much mailings TTM, so I have to find the exact details, but I probably sent this during the latter part of the 2012 MLB season and was received last week. 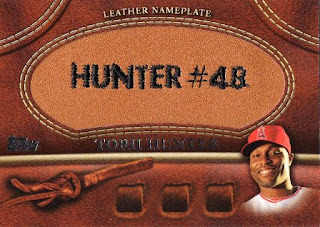 It was a nice 5-year run as a Halo for Torii Hunter - while everyone sort of moves on, especially when the Angels have Major League Baseball's best player in Mike Trout, I'll be rooting for Hunter to outplay the Bobby Abreu [circa 2010-2012] comps often thrown at his direction by 'smart' Angels fans who didn't want the team to reach out and re-sign the 37-year old outfielder. 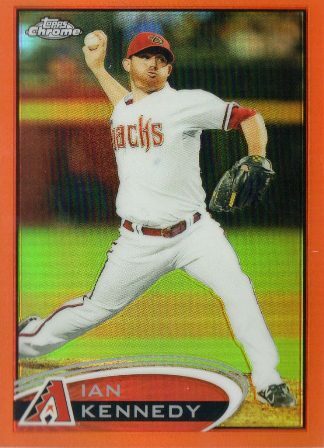 2012 Bowman Chrome blaster [$19.99 each at a random Target] - went on a Target / Walmart run for 2012 Bowman Chrome the week it came out, I blew $60 on two blasters and two value packs; my friend's lone blaster purchase had a Trevor Bauer autograph redemption while his boss must have bought 10-15 boxes and at least three hobby boxes. 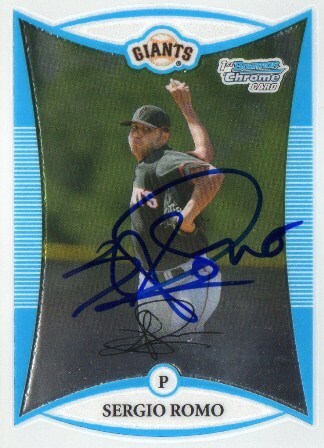 I think it was four or five years ago, hanging out in the morning at Scottsdale waiting for the San Francisco Giants players to come in during spring training - where I got Sergio Romo's autograph. Even though Romo was a set-up man for much of the 2012 regular season, the Giants leaned on him to shut the door in the postseason and he ended up closing out the 2012 World Series as a two-time World Series champ - it's kind of safe to say that things have turned out pretty good as Romo has carved out a nice little MLB career for himself. I ended up going to the Arizona Fall League for a week to get myself autographs of prospects and some other minor league players - I picked this oddball card of Vernon Wells as part of an league promotion to honor an AFL 20th Anniversary Top 20 team. 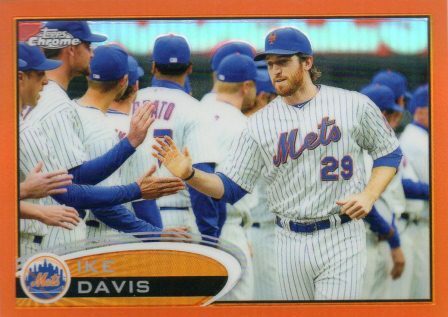 The card stock is very thin and not as 'durable' as a regular card would be - I don't really care for cards like these because I don't see them as trading cards [they are little larger than a normal card] and more like fliers to throw away. 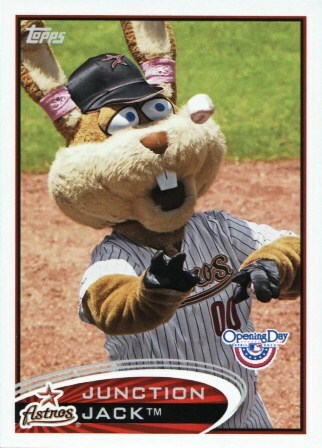 The oversized cards I ended up with are Wells, Sean Casey, Todd Helton and Jermaine Dye - it looks as if I got the 'meh' part of the giveaway promotion but oh well. I feel like I've lost my way with this blogging thing, but here is an autograph I got in-person of Oakland A's star rookie Yoenis Cespedes - I thought he was good about signing autographs when there was opportunity for him to do so when the A's visited the Angels this past season, though he shortened his autograph from the beginning of the year. 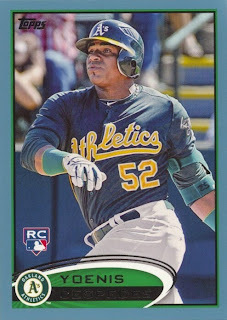 Obviously Cespedes is starring in the American League Division Series right now - looking to help the A's even things up with the Detroit Tigers. 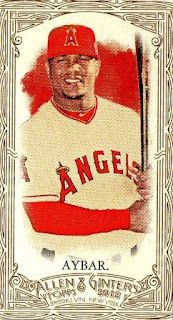 I received 2012 Topps Allen and Ginter's gold mini parallels of Erick Aybar and C.J. 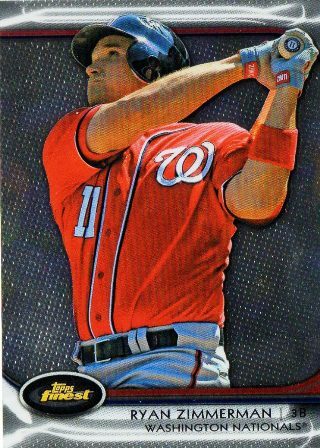 Wilson from Play at the Plate - in exchange for the two Texas Rangers ones I pulled out of a pack break. Reading about the trade from his point of view, it sounds like he's made me out as a female - though I'm appreciative a trade was able to get done, just to avoid any possible confusion, I'd like to clarify that I'm actually a dude. It's hard not to look away from what the Los Angeles Dodgers did in trading for the big contracts of Adrian Gonzalez, a hobbled Carl Crawford and Josh Beckett - as a Major League Baseball fan, all it tells me is sometimes there are just no rules as far what one particular team is willing to spend to bring certain players in. It must be nice being a fan of an organization like the Dodgers right now - while my Angels are floundering in mediocrity, the Dodgers are primed to make a serious playoff run.